As we pointed out last week, the end of the year calls for reflection, reminiscing on the highs and lows of the last 12 months. In fashion terms, that means looking back on the trends that flunked, the new It brands we learned about, and the wardrobe basics everyone purchased throughout the year. Today we’re adding to the list and sharing the top 10 ankle boots bought by our readers and pointing out the one style that did not make the list. 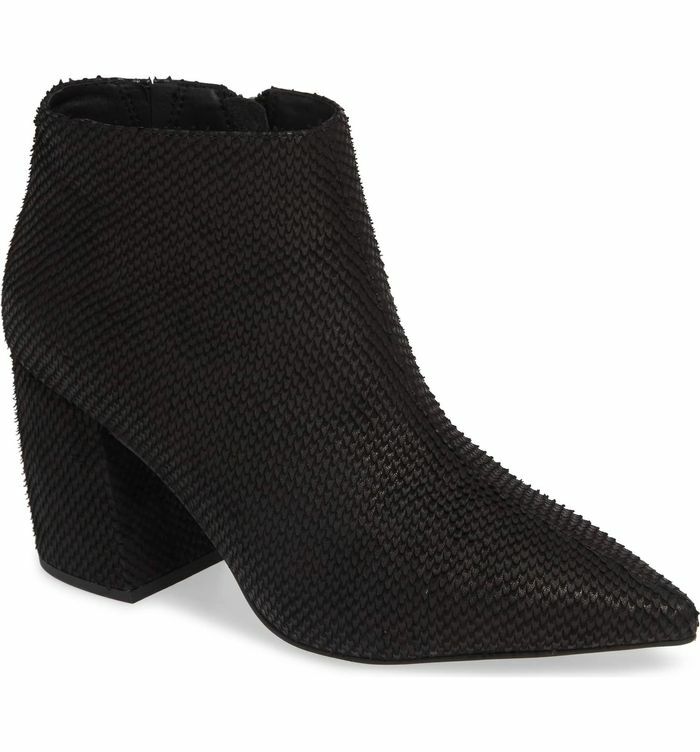 Take a quick scroll below, and you’ll notice the theme among the most popular ankle boots of the year is pointed-toe boots. Each style lends a polished and classic vibe through sleek silhouettes and materials. Round-toe boots earn the style you won’t see on our "most popular" list this year. Thanks to the data from our in-house affiliates team, we learned no one is buying round-toe ankle boots anymore. Instead, they are shopping the below boots in order from the tenth slot to the number one slot. See which brand won as the top-selling shoe brand among Who What Wear readers below. Quite the textured look on this top-selling pair. The season's must-have designer boot style. The white boot trend is still going strong. Our editor Kristen swears by these By Far boots. Such a great price for simple black boots. A nod to the Western trend. For the shopper looking for some edgier boots. The hottest and most comfortable boots of the year. Here they are: the top-selling ankle boots of the year. Add this to your wardrobe for a trendy option. You can't go wrong with a patent leather option. Meet your new office loafers. Kitten heels for just about any occasion. These will become your go-to wedding guest heels. Style these sleek boots with a cool midi dress. Leopard-print boots are basically neutral in our book. You'll get so much wear out of these black pointed-toe heels. Up next, shop the five "boring" winter items every NYC girl owns.